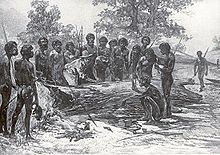 "Australian peoples" redirects here. For other people of Australia, see Australians. 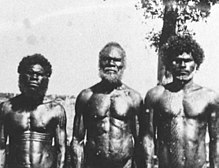 1.4 The terms "black" and "blackfella"
Aboriginal Australians are overrepresented in Australia's criminal justice system. 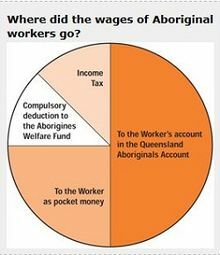 As of 2018, Aboriginal and Torres Strait Islander prisoners represented 28% of the total full-time adult prisoner population while accounting for 2% of the general population. Furthermore, the increasing percentage of Aboriginal women in Australia's prisons also reflects this: while again being 2% of the general population, Aboriginal women make up 34% of the prison population. These figures, however, are nowhere as startlingtext[according to whom?] as those exposed by a recent report into youth justice undertaken by the Australian Institute of Health and Welfare. The report states that, "Although only about 5% of young people aged 10–17 in Australia are Aboriginal or Torres Strait Islander, half (2,339 or 50%) of the young people aged 10–17 under supervision on an average day in 2016–17 were Aboriginal." On average, Aboriginal youth are around 18 times more likely as non-Aboriginal youth to be under supervision. This is evidence of a clear issue occurring not only within Australia's criminal justice system, but within communities as a whole. 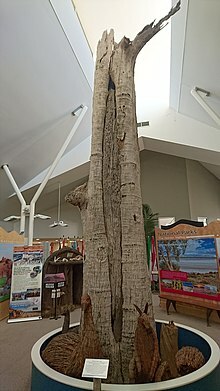 Mapoon is a town in the Aboriginal Shire of Mapoon and a locality split between the Aboriginal Shire of Mapoon and the Shire of Cook in Queensland, Australia. 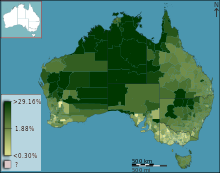 At the 2011 Australian Census the town recorded a population of 263 and 90% of the town's population was of Aboriginal or Torres Strait Islander descent. 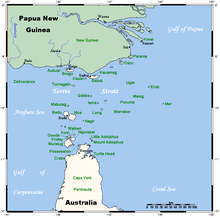 Badu or Badu Island, pronounced ['ba:du:] in English, in Kalau Laguw Ya Badhu [bad̪u], is an island 60 km north of Thursday Island, Queensland, Australia in the Torres Strait. Badu Island is also a locality in the Torres Strait Island Region, and Badu is the only town, located on the south-east coast. 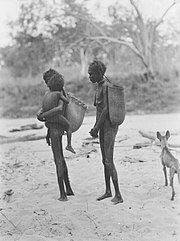 An Indigenous Protected Area is a class of protected area used in Australia formed by agreement with Indigenous Australians, declared by Indigenous Australians, and formally recognised by the Australian Government as being part of its National Reserve System. Henrietta Marrie is an Australian indigenous rights activist. 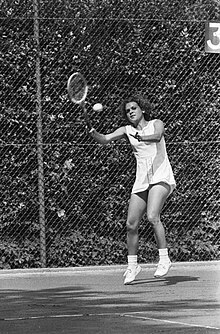 She is an Aboriginal Australian from the Yidinji tribe, directly descended from Ye-i-nie, an Aboriginal leader in the Cairns region. 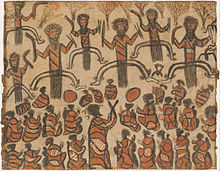 In 1905, the Queensland Government awarded Ye-i-nie with a king plate in recognition of his local status as a significant Walubara Yidinji leader. MaryAnn Bin-Sallik is Djaru Elder and Australian academic, specialising in Indigenous studies and culture. She was the first Indigenous Australian to gain a doctorate from Harvard University.